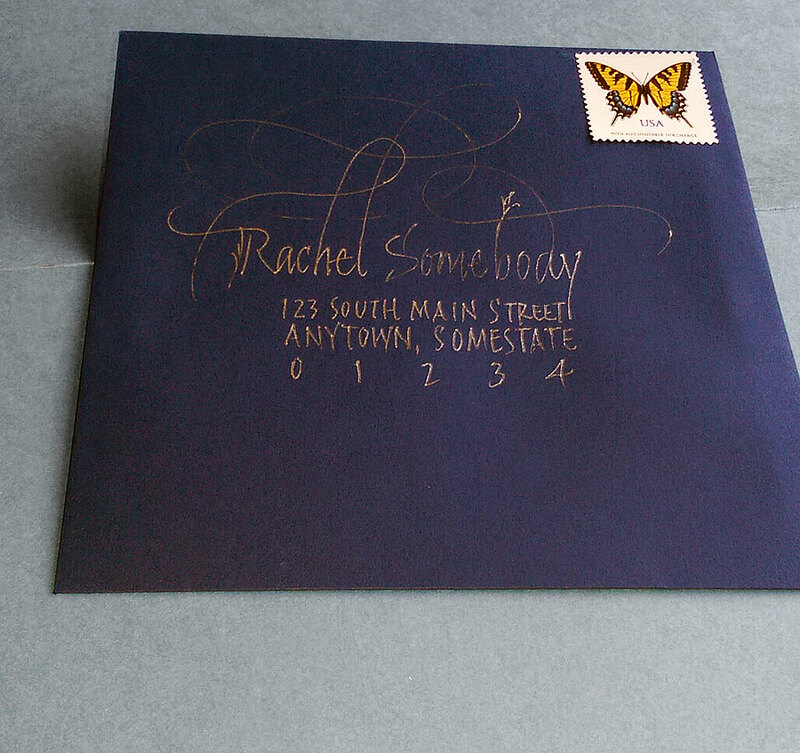 While my go-to tools are metal calligraphy nibs (Mitchell, Brause, Tape) and gouache, sometimes a gold metallic gel pen can be a real pleasure .. and, sometimes more important, a portable one. One time I ordered about 8 different gold metallic gel pens from Jetpens and had a field day testing them. Jetpens carries a whole bunch of writing tools and papers which are mostly geared toward the illustrators, manga artists, and crafters. They also provide comparative information about some of their tools and materials. 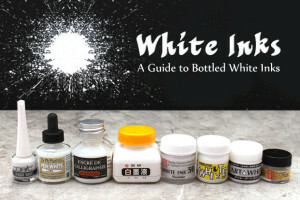 Their guide to bottled white inks arrived in today’s email inbox. They compare opacity, reactivity, viscosity, water resistance, and nib compatibility. Pro White– a favorite of mine for broad-pen work, it can be mixed with gouache for a little color. Dr. Martin’s Bleed Proof White – similar to Pro White, it also mixes with gouache. FW Artists Ink – a little clunky for pen work, but its dropper-in-the-cap packaging makes it convenient to use. Ziller Ink – North Wind White – Great for pointed pen work. Mixes only with other Ziller inks. Yale University has put together a teaching kit that travels to classrooms on Yale’s campus to “support the study of the medieval and early modern book as material artifact”. What a great idea! We can benefit too, if only virtually. 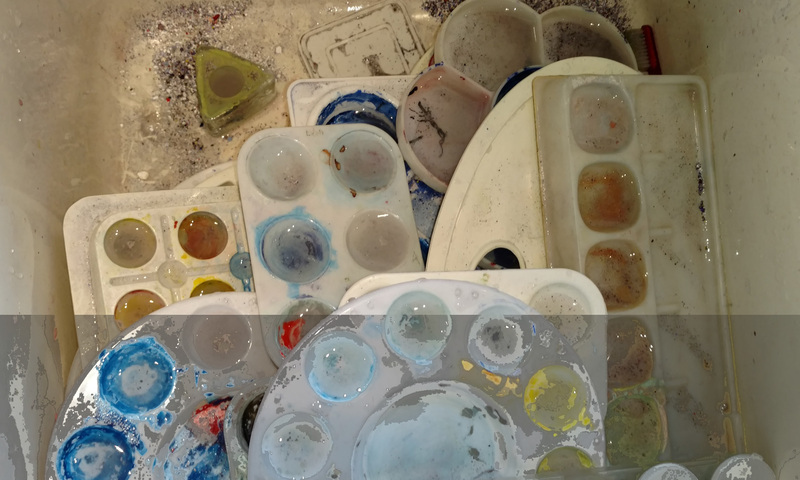 Their blog archive addresses such topics as pigment manufacturing process, bookbinding terms and models, and the online version of their ink and pigment sampler is interesting, as is the online version of their leather and parchment sample set. 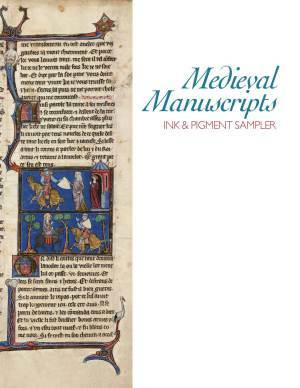 There is also a PDF of medieval ink and pigment recipes.